Humpback whales feeding in S.F. Bay, but how safe are the mammals? Humpback whales are often found where food is present, regardless of how dangerous the waters might be. 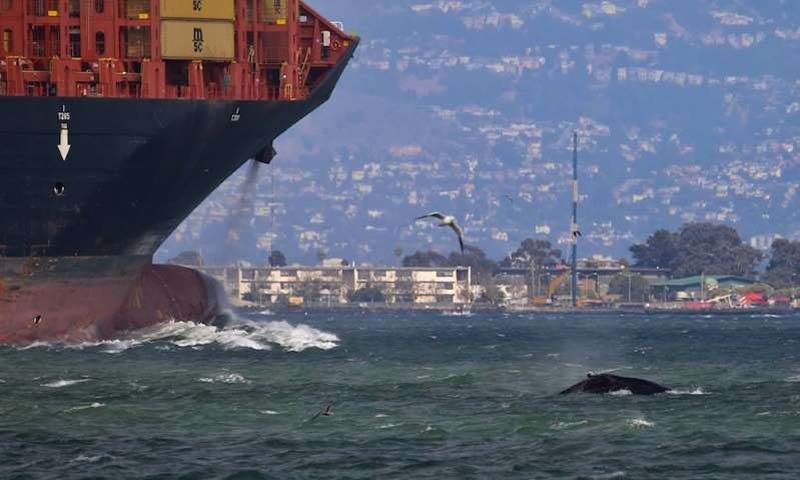 San Francisco Whale Tours illustrated this point dramatically last Saturday by posting an image showing a humpback whale's near miss with a giant container ship inside bustling San Francisco Bay. "As we can see in these photos, these waters are incredibly busy," the company stated on Facebook. "This can be extremely hazardous for the whales. It's the equivalent of trying to have dinner in the middle of a freeway." The images, also showing the close proximity of sailboats to the whale, were captured by Joey Muelemen. Several humpback whales have ventured inside the bay in recent weeks to forage on schooling anchovies. 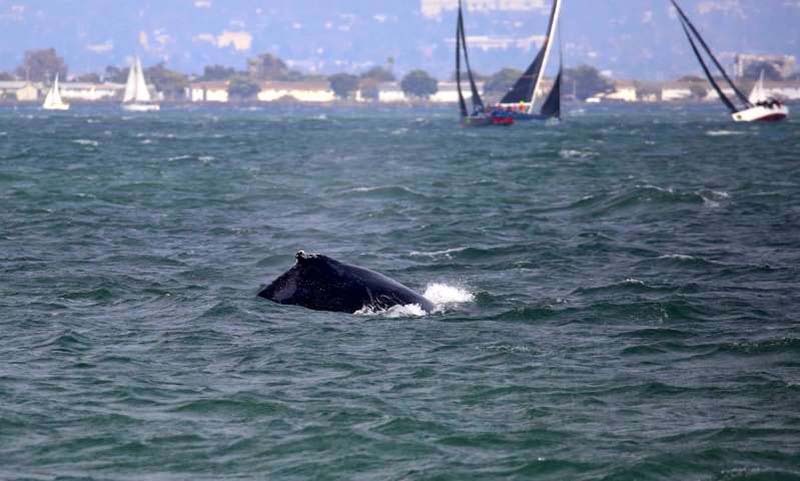 The container ship was approaching the Port of Oakland when the whale surfaced near its bow. As far as anyone could tell, the mammal was not injured. But ship strikes kill a significant number of whales each year along the West Coast, as the leviathans sometimes feed or travel inside established shipping lanes. CBS affiliate KPIX 5 reported that a fin whale was killed during a ship strike earlier this year. Its carcass was discovered inside San Francisco Bay near Jack London Square. A gray whale carcass was discovered elsewhere in the bay on the same day. The Sacramento Bee reported that the Port of Oakland is the seventh busiest port in the U.S., so whales inside the bay are not necessarily safer than they are outside the bay. Of the near-miss photo, San Francisco Whale Tours stated, "This is why it's so important that captains be aware of their surroundings and follow the #SeeABlowGoSlow" guidelines." Pets Magazine: Humpback whales feeding in S.F. Bay, but how safe are the mammals?